Last year I anticipated Summer and was excited for all the things I hoped I would do. Weekends at the River, picnics, trips to the Beach, Amusement Parks, all things that define Summer. I kicked it off Memorial Day Weekend with friends and family and then a wonderful trip to the Outer Banks with George to finish off May. June was full of promise, then on June 3rd my son had an accident which was serious emotionally and physically for all the family. I spent the rest of my summer setting my sights on a new Start Date to kick off summer. OK, so June might be a wash, but starting July 1, I’m going to have a “do-over.” I declared July 1 as a new beginning. I made it until July 5th when another situation arose and again after I dealt with it, I set my sights on another start date to summer. Labor Day found me looking back at a rainy, tumultuous summer full of storms from the skies and storms from the heart. I weathered them all and grew in unique ways, but it certainly wasn’t the summer that the songs we listen to while driving in our cars with the windows rolled down are talking about. Memorial Day Weekend 2015. As it approached I was determined to make this the summer I had hoped that 2014 would be. I was proactive, realistic and sensible in my planning. 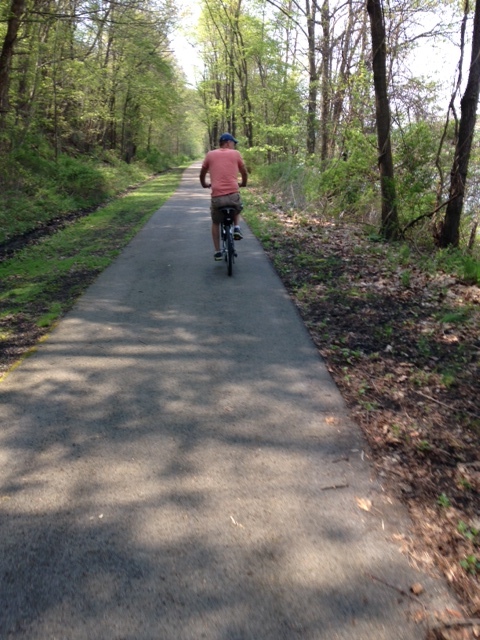 We bought bicycles so I could exercise on the trail by our river house. I bought a lap top to take with me on weekends so I could focus on my writing more. I know that 2015 will have some challenges because the kids (my kids) who used to enjoy lazy summer days boating will not be around as adulthood has called them to employment. But, knowing that it would be a “different” kind of summer, I was excited about my bike and my laptop and my control of my destiny. Today is her birthday! Wow. She is 9 years old. She has grown into such a fun young lady. She loves tumbling, singing and laughs easily. She has great friends and good health. She is a blessing to all who know her. We celebrated her birthday a couple of days early with a party of 17 of her friends at the local youth center. I remember bringing her home from the hospital…twice. I met the caseworker at the court house parking lot to pick up my “wounded bird” with broken legs, one still in a pink cast, with a swollen eye and thin hair. She had a sweet, gentle smile, but turned her eyes to the floor when a man entered the room. We met her through foster care and last night when I tucked my 8 year old daughter in, her eyes filled with tears and she said what I knew she would say someday, “Why did she let me go?” K’s birthday is May 11th which falls entirely too close to Mother’s Day. A weekend full of memories of past love and trauma, of celebration and sorrow. K loves her first Mom. She was good to her. She remembers how her Mom comforted her when she had been injured by the boyfriend who was in charge of watching her. She remembers the cuddles, the sleeping in, the presents bought, the scrapbooks made. She remembers all the love her Mom poured out on her, yet she remembers the dark garage that she was locked in, she remembers how he bounced her off the wall over and over, how he sat on her and she couldn’t breathe. Yesterday in church the choir sang a song titled, “I’m adopted.” K thought for sure that I would tell the congregation afterwards that she was adopted. “Oh honey, they all know you are adopted.” “How?” “Those people in those pews and other churches you’ve never even visited prayed for you for months. You touched everyone you met.” She sincerely did. She put a face to abuse, abuse of the bad boyfriend, abuse of the system who sent her back again, abuse of a Mom who refused to put her child first. So sad. When we met her we prayed for her, we prayed that God would place her exactly where He wanted her to be. We had to trust. We still have to trust. We don’t have answers to her questions of why, we simply don’t know. Why would a Mother pick an abusive boyfriend over a precious little blonde? Why would a judge send a chlid back into a home with with 3 indicated child abusers? Why did it take so long for parental rights to be terminated and an adoption to be final? We don’t know. We never will. Today is her birthday. I, too, have mixed emotions. This isn’t the plan I would’ve picked for her. Mothers are supposed to love their daughters and put their safety above their own, but for someone reason, K’s couldn’t or didn’t. It’s sad. Yet, that Mother’s bad decision made this Mom’s heart even fuller. I had the honor of receiving a lettuce plant with a card saying, “Lettuce say thanks, Mom” for Mother’s Day. I counted my blessings yesterday for the 5 children that God has entrusted me to raise. Two of my blessings have other mothers and pain that I can’t relate to. Two of my children celebrate their birthdays without the stories of “how excited we were this day x number of years ago” or “I remember your teeny tiny toes.” That’s sad. And, the memories we all share about their first days are not happy ones. There is no way to wax eloquent here. Years ago when I was fostering an infant, I took her to the pediatrician for a check up. When the doctor entered the room, he said, “Congratulations! !” I quickly corrected him and said, “Oh, she’s not mine.” He said, “You have the honor of caring for a beautiful baby girl, congratulations are in order.” I’ve never forgotten his words or his sentiment. It is an honor and a privilege. Today is her birthday. I think we’ll acknowledge her sad memories, maybe briefly, and attempt to move on to what is truly important in this 9 year old’s life. Birthday cake with lots of icing, stories of the friend party on Saturday, choosing which new outfit to wear to school today and lots of singing. I have the honor of caring for a beautiful “baby” girl, congratulations are in order! Today my husband and I traveled to Foxburg, PA. It’s a 24 minute trip by car over beautiful green rolling hills. You pass farms bright with red barns, tulips blooming in yards and trillium that God planted years ago blooming white on the hillsides. Even yards full of golden yellow dandelions brighten the spirits as the sun shines down on this gorgeous day. When we arrived at Foxburg, a small town labeled as placid on it’s own website, it felt like we were on vacation. We rode our bikes on the paved bike trail to Parker, PA and then returned to Foxburg for a lunch of Taco Pizza at Foxburg Pizza. Driving along the Allegheny River and over the Clarion River on this beautiful day was a real treat. God outdid himself in this section of the country! Splendorous! (Isn’t that a fun word?) On our ride we saw flowers of yellow, red, purple and white, and birds of blue, red and shades of brown, We stopped and took a couple of photos of the calm river and a Canadian Goose swimming by. These are things we take photos of while on vacation, but rarely recognize the value of them on a random Friday morning. Today, I paused to see them. We have all heard to take time to smell the roses, and yet we rarely do it. Last September we had the pleasure of entertaining our friends from Ipswich, England for a week. We celebrated a Stay-cation with them here. In that week, we celebrated all sorts of day trips. One day we drove to Foxburg, and had lunch outside on the deck at the Allegheny Grille, we bought a bottle of wine at the Foxburg Wine Cellars and sat under the grape arbor to enjoy a glass. The day was wonderful. I looked over at my husband, George, and said (while twirling my stemware in my hand,) “This is so nearby for us, why don’t we do this more often?” To which he replied, “Because, it’s Tuesday!” So true. What is there to celebrate on a Tuesday (surviving Monday perhaps?) The point I’m trying to make is that we often have treasures in our own back yard that we don’t take the time to enjoy. I challenge you to take a look at your hometown and see what it has to offer that might give you the respite from routine that you need. I came home from my morning refreshed and renewed and excited about discovering the joy of a morning of relaxation. Now it’s time for me to close. I am going to make myself a frozen lemonade and sit on the deck in the sun, read a book and pretend I’m on vacation until the school bus brings my kiddos home! I must share something that I just did. Yes, I gossiped a bit in an email. Now we know we shouldn’t gossip, but more importantly, we should NEVER gossip in an email. After I sent an email to a friend I double checked to make sure that I really sent it to the intended recipient. All clear. It went without any complications. However, it did make me aware that if I didn’t want to send it to more than one person, I probably shouldn’t have sent it at all! Me: Dad and I went biking today. Me: I’ll tell you tomorrow. When Susan didn’t reply to my text, I wondered if she was laughing at the image of me jumping up and down or if she was concerned about my overuse of the word “crap” in a text. She simply didn’t reply. Lori didn’t reply either, probably because my strange words made her speechless (or textless so to speak.) My phone went from buzzing and dinging as two people were texting to being inanimate in my hand. After investigating, I recognized my error and had a laugh at my own expense. I thought it was funny, but I did realize that it might NOT have been funny if I had accidentally sent the text to one of the Pastors I work on a local administrative board with or even a parent of my 8 year old daughter’s whose contact information I have. I was spared great embarrassment. So, you would think I would learn my lesson. Today I was spared again. I really did send the message to the intended party, but in reality, I could have skipped sending it at all. It is my hope that I will pause before I hit “send” the next time and decide if I should hit send or delete. It’s what’s for dinner!!! This has been a family favorite for a long time! Brown meat; drain. Add onion and green pepper, cook until tender. Stir in tomatoes and the sauce from the boxed pizza. Simmer for 15 minutes. Prepare dough as directed on box. With fingers greased, press on bottom and sides of a greased 13×9 pan. Layer sauce mix and cheese. Repeat. Sprinkle Parmesan cheese from box on top. Bake for 20-15 minutes at 425 degrees. Let stand for 10 minutes before serving.